Volcanic ash clouds! Airport chaos! Stress and anxiety! Yes, it can only mean one thing; UK holiday season is here again. This year instead of heading for foreign shores for a vacation, thousands of holidaymakers are favouring a ‘staycation’ in the UK. But with many more motorists hitting the UK’s roads this summer, holiday happiness could turn to ‘staycation’ frustration if cars aren’t in tip top condition. Why bother checking my car? You wouldn’t pack your suitcase without double checking everything. But for thousands of holidaymakers staying in the UK this year, many will be taking to the roads at some point without giving the condition of their cars a second thought. 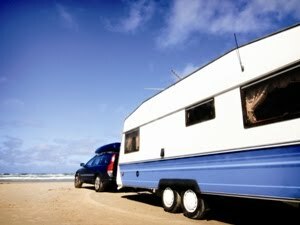 But avoiding simple checks before setting off could leave the wheels coming off a holiday before it even starts. What should I be checking for? • Coolant levels to avoid engines overheating. • Tyre pressure to cope with the increased weight of luggage and passengers. • Brakes, clutches, power steering, fluids and oil. • Tyre tread, windscreens and wipers. There’s never a good time for your car to break down but these simple checks can be made quickly and play a part in preventing motorists running into trouble on the roads. Need some help? The Good Garage Scheme is here! If you need help to give yourself peace of mind for holiday motoring in the UK the Good Garage Scheme’s own squad of 2900 independent garage experts are on hand to identify any problems before your holiday starts and help ensure trouble-free motoring.